When the rain brings enough moisture to some of California's driest regions it produces a good wildflower season. 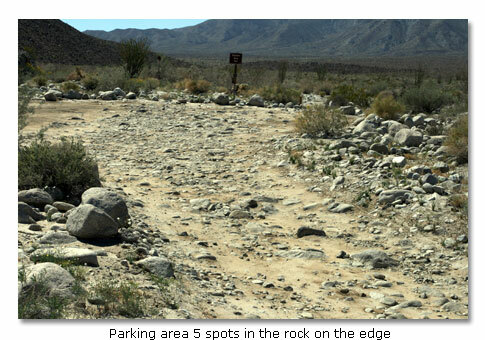 Evidence of the rain were displayed in bright patches of red, yellow, purple and white along the roadsides leading into Borrego Springs and Anza-Borrego Desert State Park. The day I visited the park, the sun was shining and it was a beautiful day for a mid- morning trek in the desert. I was wishing I had worn shorts instead of pants, anticipating the lovely spring weather. As I drove into the parking lot of the Elephant Trees trailhead, my attention was quickly diverted to a flash of magenta which caught my eye. It was the first Beavertail Cactus I had seen in bloom this season, and it was magnificent. 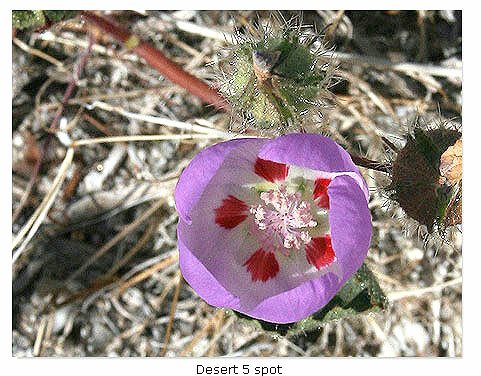 The contrast of the boldly-colored blossom against the sage-colored desert was surreal. How could a flower so lovely and bright survive in such a dry and extreme environment? 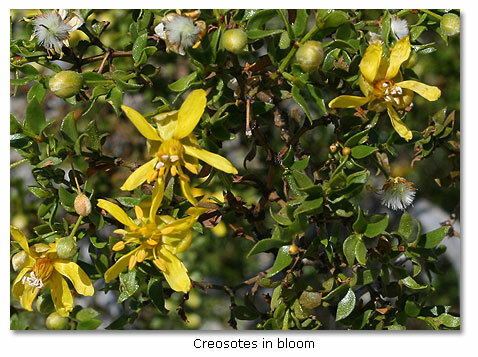 It is the joining of two these two extremes that make the desert wildflower season so special. After I parked the Jeep and packed water, sunscreen and camera equipment into my backpack, I headed toward the blooming Beavertail to get a closer look. Another woman was standing in front of the flowering cactus, silently taking in the scene before her eyes. 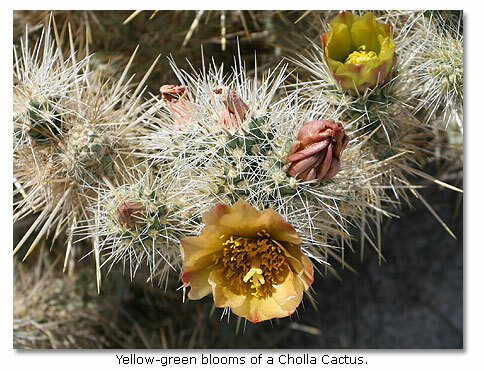 Not far from this awesome site I discovered the yellow-green blooms of a Cholla Cactus. If the wildflower show in the parking lot was any hint of what lie ahead on the trail, I would capture some wonderful shots of cactus in bloom. Along the wash, a number of colorful annuals poked out of the sand. Lupine, Monkey Flowers, Spanish Needles and Phacelia were some of the more abundant varieties. 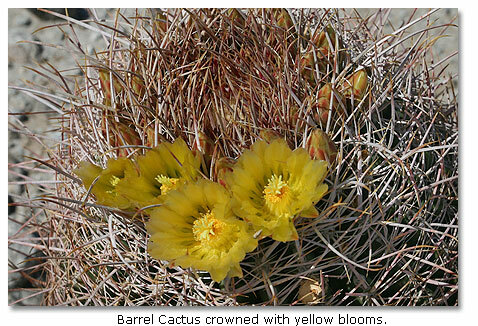 On the rocky slopes of the wash, I spotted some Barrel Cactus crowned with yellow blooms. Upon closer inspection, I was able to locate a few Fishhook Cactus cropping out from under rocks and bushes. The essence of Spring was everywhere. The wash section of the trail provided a number of photo opportunities. Branches, rocks, and stumps filled with picturesque, wild bouquets of Forget-Me-Nots, Whispering Bells and California Poppies made excellent subjects. 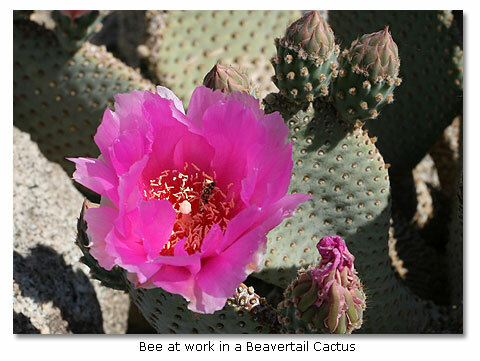 Throughout my walk, pink blooms of the Beavertail Cactus appeared before me, and I would stop to take in the view. Luckily, I packed a few extra rolls of film. During my walk I took more than 75 shots of various wildflowers and blooming cactus. About halfway through the loop, I arrived at the rare and beautiful Elephant Trees. 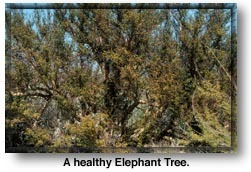 The trees only grow to an approximate height of 10 feet, but are large when compared to other desert trees and shrubs. Elephant Trees earned their name from the bark of the main trunk, which looks like folded skin. The existence of this tree was not documented until 1937, when expeditions to the area yielded specimens. In 1987, the Elephant Tree was also discovered in the nearby foothills of the Santa Rosa Mountains. The trees once thrived in this region, but now some of the small herd lay black from death and decay. There was one big healthy looking Elephant Tree that provides some shade and a nice area to rest about midway through the trail. Many other interesting flora can be viewed along the Elephant Trees Nature Trail. The long arms of the distinct Ocotillo spot the trailside with a few bright red tips in bloom. 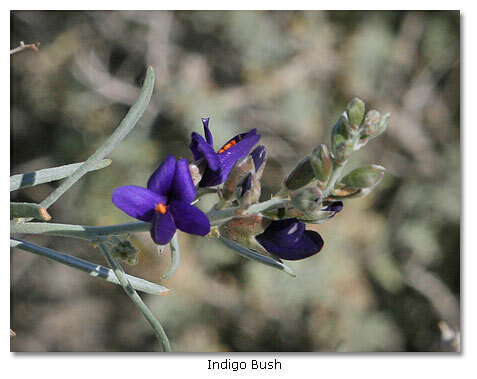 Desert Five-spot, Lavender, Indigo Bush and Brittlebush were all in bloom when I walked the trail. The heat of the day was a refreshing change from the cooler days of previous weeks. I stopped frequently along the trail to drink water and enjoy the scents and sounds which surrounded the trail. The pungent scent of the Creosotes filled the still air and the noise of the Cicadas echoed through the wash.
For a mid-week walk, the trail had more visitors than I expected to see. Many of the visitors I spoke with confirmed that this was the first place in the park they had seen the Beavertail Cactus and Cholla Cactus in bloom. From the looks of it, the cactus bloom was just getting started in Mid-March. April should bring with it a show of colorful cactus blooms to top off one of the best and most spectacular wildflower seasons we may witness for years to come. The Elephant Trees Trail is a l.5-mile loop and an easy walk. Sections of the trail traverse the deep, sandy wash, which takes more energy to forge through than the hard-packed portions. There is little shade along the trail, so take breaks and drink lots of water. There are 17 markers that correspond to a printed Trail Guide describing the flora and geologic features along this self-guided trail. 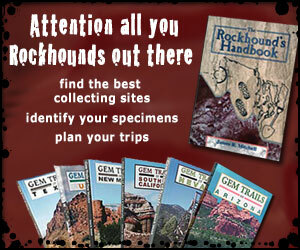 The Trail Guides are located in a brochure holder at the trailhead. 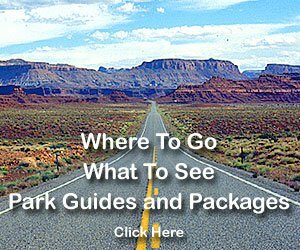 The brochure rack was empty the day I visited, but extra copies of the guide can be picked up at the Main Ranger Station/Visitor's Center before you head out. Directions: The trailhead begins 5.9 miles south of Hwy. 78 off Split Mountain Road. Dirt road some rocks, high clearance recommended. Easy walk.